You may be surprised at what you get from our office, that you don't get anywhere else... like the Barns.com FREE Solar Light System that easily installs in any steel structure! 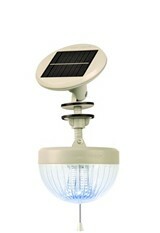 To give back to our customers, Barns.com now gives each customer a free solar light system (upon request). Each customer that places an order for $1,000 or more is allowed one FREE Solar Light System coupon. Print off this coupon for your sales person. 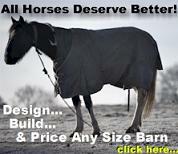 OR Free when you order a structure from Barns.com. Why by this when you can get it free! 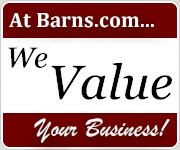 Order your barn shed from Barns.com and receive Item # SLS250 for free, just pay for shipping and handling. Fit's Any Roof Structure, Shingle or Metal! 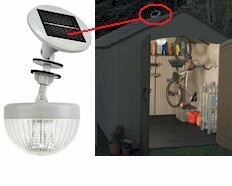 Light up your structure with with this easy to install solar charged light. No electrical wires to install, just secure it to the roof or side wall and let the sun do the rest. Our Crown Solar Shed Light is completely solar proof and can be easily installed on all types of material; metal, wood or plastic. It is charged by a powerful Mono Crystal solar panel and the LED light never need to be replaced. Requires only 1 hole of 0.6"
The Barns.com Solar Light System (Item #SLS250) comes FREE with the purchase of any Barns.com structure purchase! Just pay for shipping and handling. Only available by calling from our local phone directory or toll free 888-812-2767. Call for offer details. We offer two Solar Powered Light Systems.